Do you have an existing Citrix XenApp or XenDesktop farm? Do you want peace of mind that your infrastructure and environment are built to industry standards to ensure that your Citrix environment is operating at peak efficiency and utilizing the latest and best security practices? Then consider a full environment assessment by a leader in Citrix virtualization technology, Geeksultant. Geeksultant will perform a full analysis of your Citrix environment from the ground up. 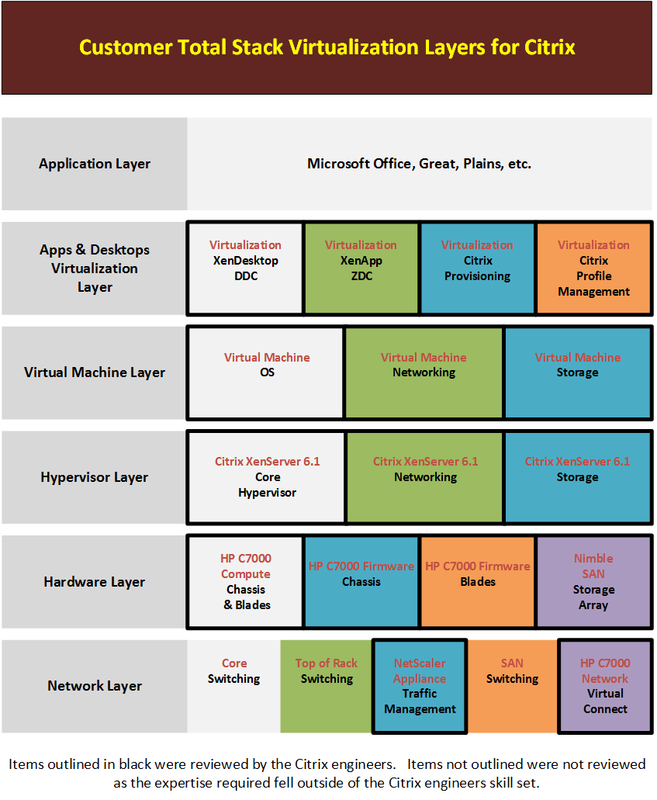 We will review and touch all of the components that make up your Citrix farm. Review will be conducted by an engineer/architect with industry leading certifications in Citrix, Microsoft, VMware and multiple hardware vendor products. Review will be comprehensive and will included 3rd party tools usage and data collection (anonymous - no private date will be transmitted) along with an eyes on review by the engineer/architect. Users 1 to 500 $2500 with 1 day remote/onsite* to review environment and 1 day remote to compile/review/record data and prepare final report. Users 501 to 1000 $3350 with 2 days remote/onsite* to review environment and 1 day remote to compile/review/record data and prepare final report. Users 1001 to 2500 $5000 with 3 days remote/onsite* to review environment and 2 day remote to compile/review/record data and prepare final report. Final report will be presented via GoToMeeting within 10 business days after review was conducted. * Does not include lodging / meals / transportation. All travel costs will be billed at actual costs - receipts to be provided.